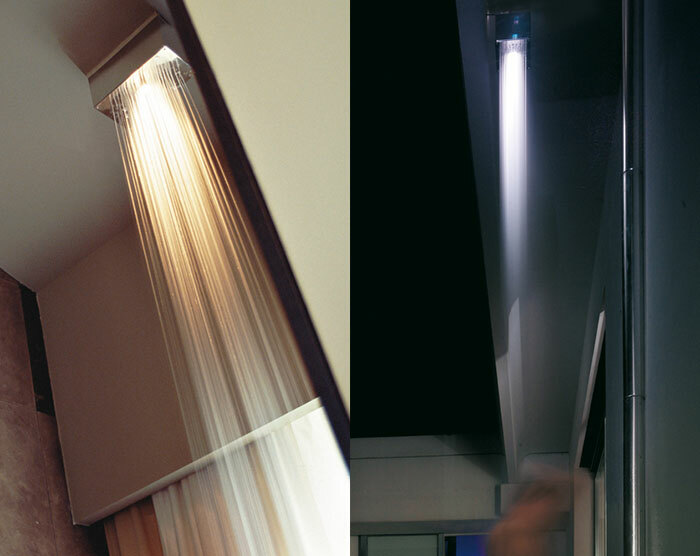 IP65 light fixture in AISI 316L polished stainless steel with integrated water supply (1/2”, pipe connectors not supplied), available with or without silicone nozzles. dimensions profile: available in medium (155x155mm) and large (155x300mm) versions, wired for dichroic GU4 20/35W lamp or for 3W led rgb or for a 4W 3000K white led, suitable for ceiling and flag use through special components made of AISI 316L polished stainless steel, and for recessed installation using the special housing. 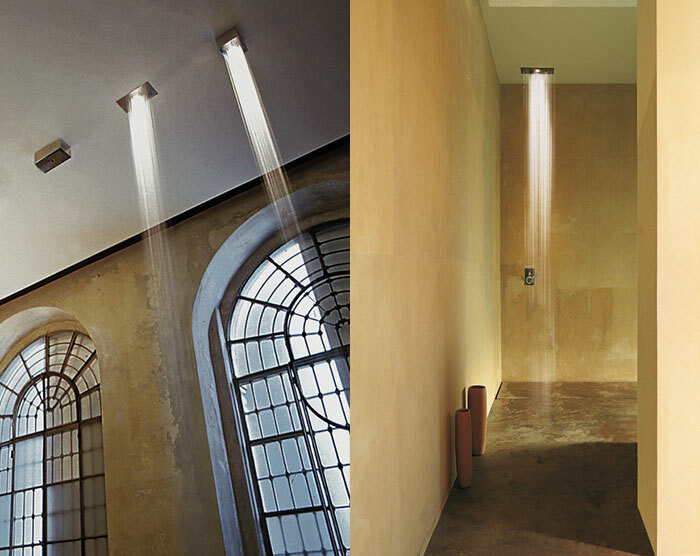 the light from the emission duct crosses the water jet and provides effective lighting in the area involved in the flow, creating suggestive light and shadow effects.